For most people, wedding ceremony is one of the most important events in life. 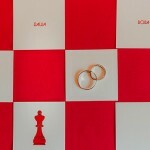 Marriage marks the creation of a new family, a new independent stage in the life of every person, making his life responsibility, which previously was not. 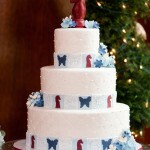 To make this event vibrant and memorable more and more couples resort to various kinds of styling. 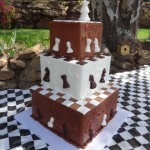 Wedding in the style of chess – very interesting and not hackneyed idea. 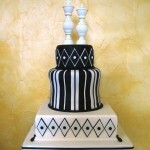 As the whole wedding party should be decorated in classic black and white combination, it will look fashionable, elegant and in 30 years. 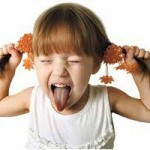 After all, the classic always was, is and will be in fashion. 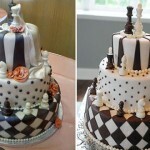 Ideas for wedding such a lot, however, it is important not to overdo it, the holiday has not lost its essence, and didn’t feel like a masquerade. 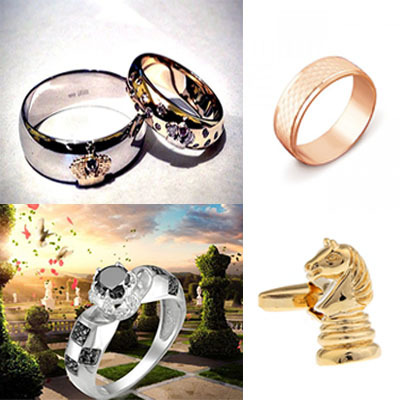 1.Wedding ring – is an indispensable attribute of any wedding. 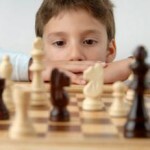 If you’re a fan of this game, then this decision will be of your liking. 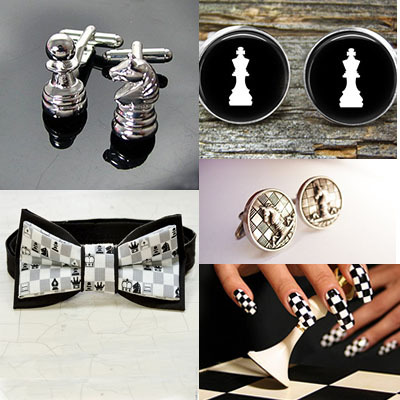 The choice of jewelry is so great that the rings in a checkerboard style as you can just buy in any store or ordered from the jeweler. 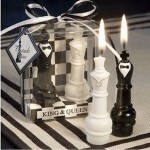 2.To emphasize the style of the wedding, you can use various accessories in the clothes of the bride and groom. 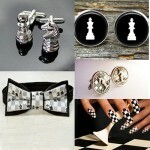 At the moment there is a huge selection of accessories chess themes. 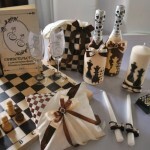 3.You can make invitation cards for guests in a checkerboard style. 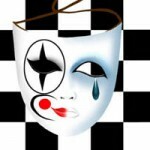 This design will certainly be of interest to guests. 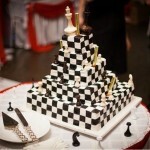 4.Of course, to underscore the chess style of the wedding will help to design in the Bridal room. 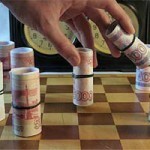 Very nice vase with flowers, decorated with chess pieces. 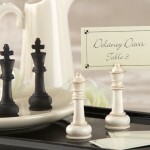 Original will make any wedding table chess pieces with the names of the guests. 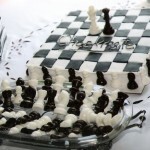 If one spouse plays chess, you will decorate the room with a beautiful poster with a picture of a chessboard on which is illustrated one of the parties. 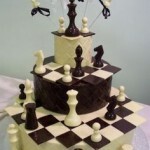 5.And, of course, the highlight of the wedding can be a wedding cake chess. 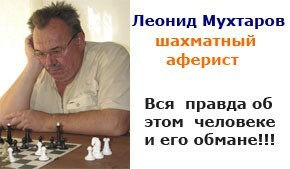 After the article is given a rather unusual chess video of the wedding.